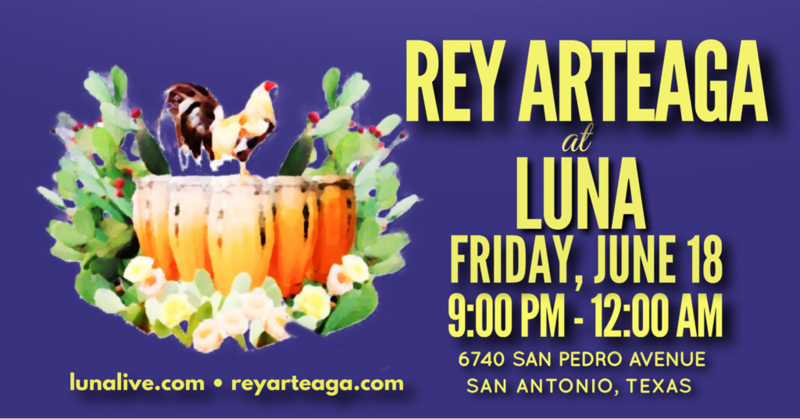 San Antonio-born solo-artist, frontman-vocalist, conguero and bongocero Rey Arteaga, a favorite performer in the local Austin music scene, has co-founded or played in some of the best Latin bands in Austin (Son y No Son, La Tribu, Son Yuma, Centzontle, Melecumbe, Sarah Fox and Joel Guzman, Sangre de Chango, Ta Mère, & Charanga Cakewalk), and has for more than twenty-six years performed classic repertoire of Cuban son, Colombian cumbia and Mexican bolero and ranchera, renditions of which have ranged from the traditional, to eclectic and innovative. Some of the musicians with whom Rey Arteaga collaborates and currently performs include Russell Scanlon on lead guitar (Susanna Sharpe and Samba Police, Tamasha Africana, The Crying Monkeys), Daniel Wyman & Stephen Zirkel on piano, Carmelo Torres (La Tribu, Timberos del Norte), José Galeano (Galeano Band, Grupo Fantasma) and Daniel Mendoza on timbales, bongó, and percussion, Ben Bradshaw & Martín Santiago on bass guitar, Glenn Rexach on guitar & bass (Glenn Rexach Group, Ta Mère, La Tribu), Gordie Johnson on trés guitar & bass (Sit Down, Servant! !, Grady, Big Sugar), Janie Cowan on upright bass, Oliver Steck on cornet & trumpet, Derrick Becker on trumpet, Raúl Vallejo & Ricardo Vega on trombone. Rey is a member of Canadian rock band Big Sugar, and has also performed and recorded with Sit Down, Servant! !, Austin-based David Bowie tribute band Super Creeps, 35MM, Gov't Mule, Tiburon, Big Band Tejano, The Brew, Los Satelites del Ritmo, and many others. We're back for more Cuban beats! Saturday, January 12, at The Sahara Lounge @saharaloungeatx! Jose Galeano on timbales, and Raúl Vallejo on trombone, and Oliver Steck on cornet! ​Sunday Brunches for February 10 & 17, 2019! Only a few public shows in Austin! Enjoy classic Cuban, and Colombian music and a delicious menu. 310 Congress Avenue, Austin, TX. 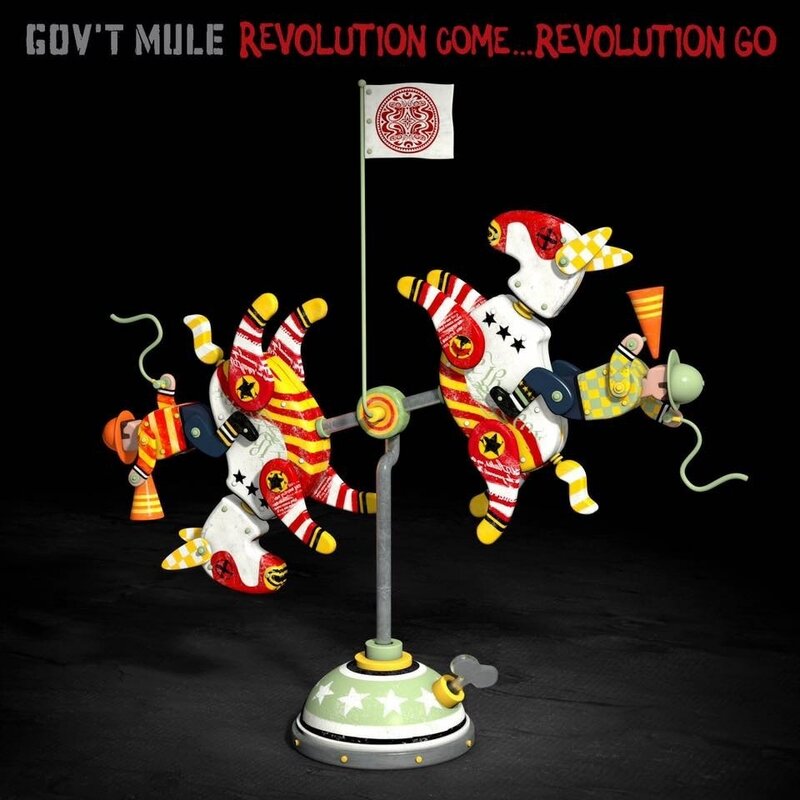 Check out the latest album from Gov't Mule! It's a beautiful and inspiring set of songs. I'm lucky and grateful to have to have performed on this project with these wonderful talents.